The TV show The Punisher has been ranked 29th according to IMDb, making it one of the most popular shows out there. 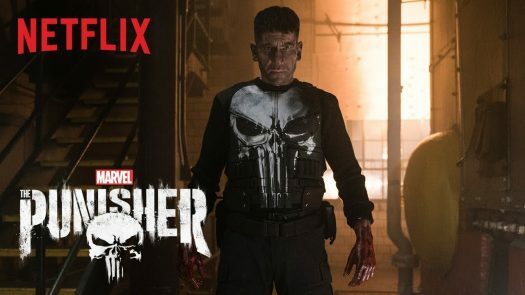 After the murder of his family, Marine veteran Frank Castle became a vigilante known as “The Punisher.” The one thing on his mind was avenging them. The show starts with him working when a group of his co-workers decides to “bully” him because all he does it take a sledgehammer and slowly tears down the walls of the place they are remodeling. All day every day he stays just breaking down walls and being made fun of. The show portrays that family always comes first no matter what. If something were to happen to a family member revenge is their number one option. There’s a lot of violence but also a lot of action that makes the show a really good action and meaningful show. The actors can make the viewer feel like they are on the show because of the foreshadow that they use and the way they describe things can pull someone is really good. They change the way things you think mean something way different that makes much more sense. Overall, the show is a very interesting and meaningful. I have watched the series and it had me hooked that I finished it all in one day. It hooked me really good. I really like this series and hope more things like this come out. It has a good meaning towards family which makes it even better.